Women put a lot of value on their accessories, and good quality purses remain very important to them. Many women dream of having a Louis Vuitton purse, but it might exceed their budgets. If you really want to buy a Louis Vuitton handbag, try these tips and hints to get it at a lower price. Louis Vuitton doesn’t advertise sales as discount or wholesale. That said, sometimes you can find purses that have the original wholesale value in Louis Vuitton stores. Getting the products directly from the company remains the safest way to avoid copycats, and you might get a good price. Check out the Louis Vuitton official website to look through the products and see the prices (http://www.louisvuitton.com/). Specific dealers have authorization to sell Louis Vuitton purses for wholesale prices. Look for these sellers and you might find the price you want. 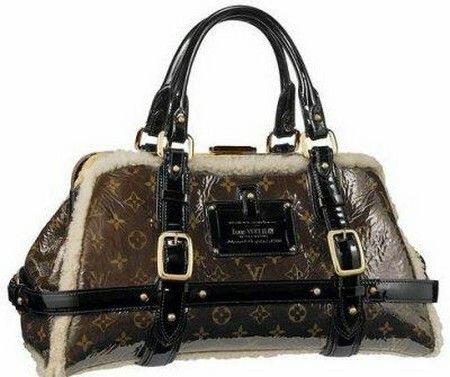 Keep in mind that many unauthorized Louis Vuitton sellers try to push off fake Louis Vuitton products. Do some research on the wholesalers before purchasing anything, as you might end up with a fake Louis Vuitton purse or no purse at all. Some might say they will give you your money back if you don’t find satisfaction with the item, but usually that’s not the case. Take extra care to avoid scams and examine the Louis Vuitton bags carefully. They should have a date code embossed on the inside, the bag should not have sewn-on parts, and the leather should be of high quality. Louis Vuitton purses have the highest quality of detail, so if you see any evident flaws you probably have a fake. The original Louis Vuitton purses don’t have the handles wrapped in paper, plastic or bubble wrap. You might also want to look for any inconsistency in the “LV” monogram on the handbag. If you find any, it’s probably a fake Louis Vuitton purse. Don’t be afraid to ask the seller for details about the handbags. If you buy online, ask for as many pictures as possible and closely examine the product. A wholesaler who has the genuine products won’t mind giving you the information you need because he has nothing to hide. Keep in mind that Louis Vuitton purses come with tags not attached to the products. If you see a tag attached, look for another seller. When buying wholesale, you should know what you want. Examine the bag you want closely, taking note of its characteristics and using your notes before ordering the purse. In your search for a good price, don’t let suspiciously low prices fool you. Though you might find a wholesale price, designer handbags don’t come cheap. Also, a very expensive item does not guarantee originality.